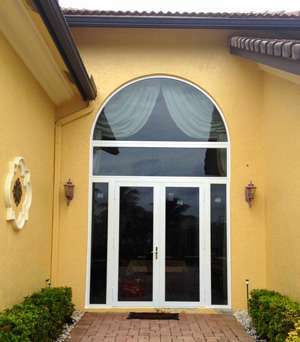 At Palm Aluminum and Glass the precision of our installations is as important as the products we sell. You and your home will be treated with the utmost respect. Care will be given to every aspect of the installation process. We ensure the highest level of professionalism and quality. No detail is too small, nothing is overlooked and that is our guarantee to you! Palm Aluminum specializes in doing business in South Florida. Our company dependably installs impact resistant windows and doors, custom designed mahogany entry doors and everything in between for our builder, architect and homeowner clients. The quality of our work is unparalleled in the industry. We call South Florida home and specialize in this ever changing and growing market.